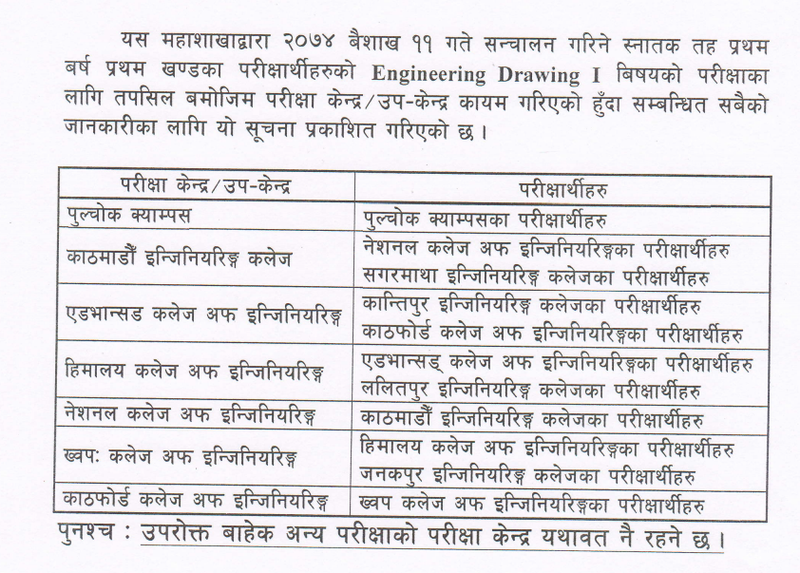 Tribhuvan University (TU), Institute of Engineering (IOE), Examination Control Division has published drawing exam center notice for Bachelor’s Level All Year First Part Regular and Back Exam. The exam is scheduled for 11th of Baisakh. The routine for BE Computer, Electronics & Communication, Civil, Electrical, Mechanical and other streams is already published which can be accessed from IOE Exam Routine page.